The right financial advice more than pays for itself. According to Vanguard’s 2014 research study, financial advisors who follow best practices and procedures for their clients can add up to three percentage points (3%) in net returns. We follow best practices and procedures at WellFit Financial and would be happy to describe our approach to you at any time. Plan: Achieve your financial goals through proper planning. Invest: Make suitable investment selections in your Trust, 401(k), IRA or other retirement accounts. Manage Your Portfolio: Manage your investment portfolios, for a % fee per year. We take NO commissions on any products. 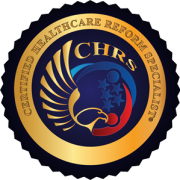 Plan for Health Insurance/Health Care Costs: Plan for your health insurance and health care costs – especially in retirement, using tax-deductible strategies. Reduce Income Taxes via Second Opinion Reviews: Reduce your income taxes by giving you a second opinion if you prepared your income taxes using TurboTax or H&R Block’s tax software. Select and Purchase Insurance: Review and help you purchase your life, disability and long-term care insurance. We do not take any commissions. Select Employer Benefits: Evaluate your employer financial and wellness benefits. Plan for Education Costs: Save for education expenses. We never charge a commission. Ever. Ongoing Asset Management: We are paid an annual percentage fee based on account values. Financial and Investment Planning (Including Second Opinions): A fixed dollar fee is agreed to in advance and in writing. Insurance Products: We don’t sell anything, but will give you advice as part of our financial planning services. We are happy to discuss questions you have about fees for our services.